Franchising is a business format with an extensive global recognition. International franchising gives industries a magnificent opportunity for market expansion. International firms use franchising as a mode of entry while expanding internationally. Recently, IKEA launched its first store in Hyderabad and became an instant hit. It experienced a sensational footfall of 40,000 people on day 1 itself. IKEA’s distinctive strategies have contributed to its success. Here are the following strategies franchisors can learn from IKEA’s success story. Thorough Research of the market is always at the heart of a good franchising plan. IKEA, before entering the Indian market, spent a lot of time on the ground. Owing to India’s lower income level and varied economy, one of the biggest challenges, is pricing the products. Consumers are ready for new brands and products, but they should fit in their pocket. IKEA aims to reach as many people as possible. Thus, their prices are significantly lower than its Indian competitors. IKEA spent years researching the Indian market, where it conducted a study on how people live, how they furnish their homes, what are their needs, etc. to understand the activities at home. It used the insights to plan its store design and layout, to decide on its product mix, and to customise its offerings to suit the uniquely Indian aesthetic and its need. Location acts as a deciding factor for the success of any brand. 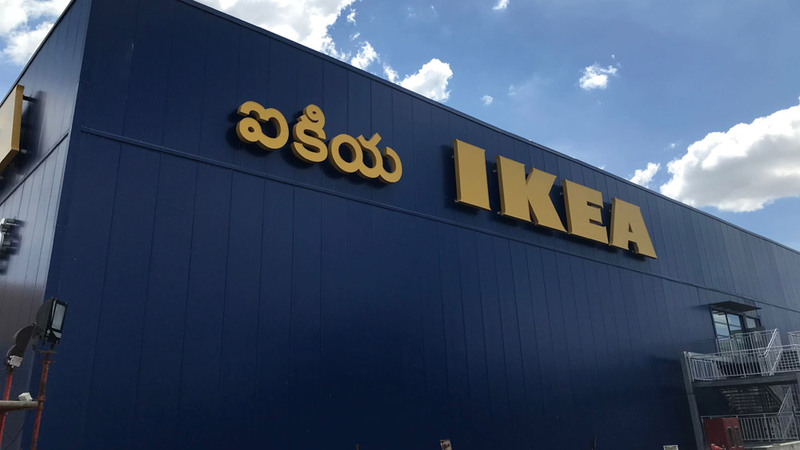 IKEA opened its first store in Hyderabad, firstly because it was easy to get a land there and secondly it was a city of a highly educated population. The state government has also wooed them with expedited land allotments and permissions and even a potential metro station opposite the store. Global Franchisees should consider all these factors before opening a store in India. It’s not necessary that you can only get good customer engagement in metropolitan cities. A franchisor should design its store in a manner to provide the customers with an unforgettable experience. The design is a primary attraction, apart from customer convenience, it helps at customer engagement. Inside the IKEA stores, there are tiny model homes so the customers can borrow ideas for interior decoration. There is also space for the parents to drop their kids and for lunch. IKEA, despite being a furniture brand, has a 1000-seater cafeteria, which has 50% Swedish and 50% Indian local delicacies. The purpose is to engage the customers, attract them and retain them in larger numbers.